Last day with the rental car and we decided to cease scaring the English motorway users by travelling the rural country lanes in the local area. Actually winding our way through narrow lanes covered in autumn leaves was a very pleasant experience. Whilst we had the car it seemed a good idea to do some serious food shopping. It was the first time we’d parked a car in the Sainsbury’s supermarket at Newbury. All previous visits have been made on foot. 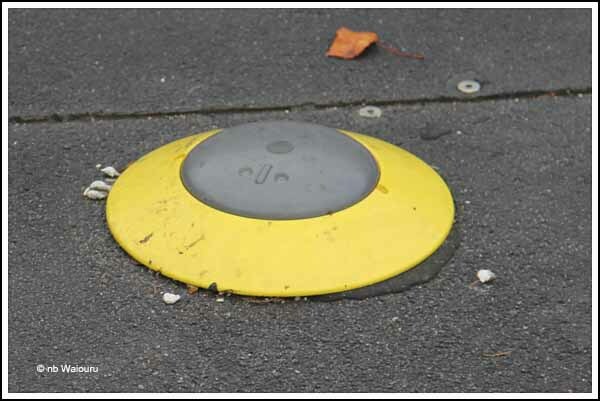 As we entered the car park I was struck by the thought “How do they keep track of the time cars are parked?” Then I noticed there was a small dome centrally located in each parking space. It appears these must be some type of passive transponder, probably activated by a magnetic sensor which registers the metal in the vehicle. 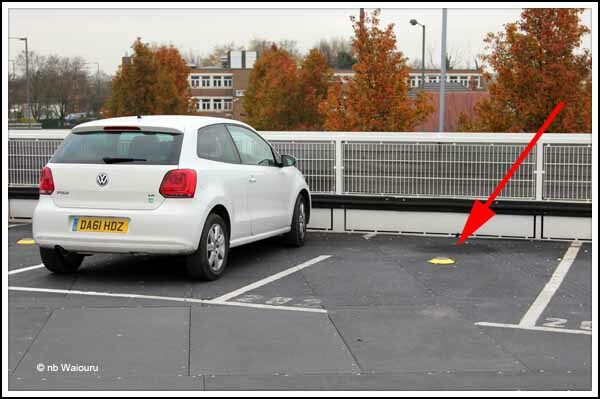 If the vehicle doesn’t more by a pre-configured time (in this case 2 hours free parking) the sensor would activate some type of alarm. Perhaps CaRT could do something similar in mooring “hot spots”. CaRT could then more effectively manage their personnel resources? Back at the supermarket Jan purchased sufficient milk and bread flour for the next 1½ months. Of course these weren’t the only items purchased. Both the car and purse groaned under the strain as we headed back to Waiouru. 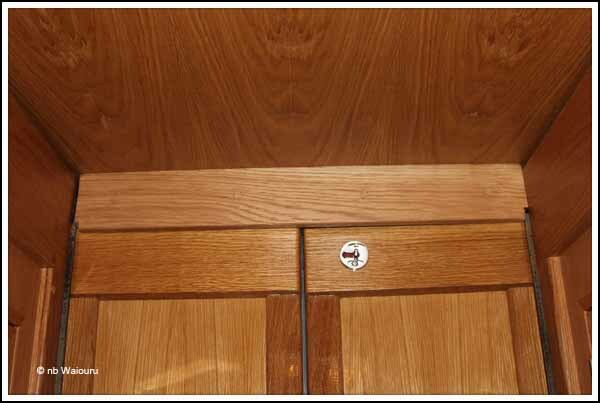 Richard and James had finished the varnishing the previous evening and had been spending the day fitting the trim in the cupboards and re-installing all the hardware (handles and catches). They even found time to finish the trim around the rear hatch. We now have a rear hatch which is weatherproof, lockable and slides without jamming. 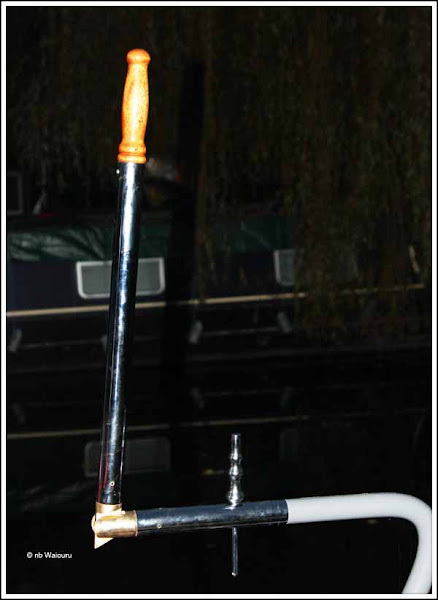 Meanwhile Nick has made and fitted the articulated tiller arm and I’ve discovered it’s far heavier than any previous narrowboat tiller arm I’ve lifted. It was going dark by the time I managed to get a photo. I must remember to remove it before going to bed otherwise it may not be there in the morning! When small boys, of any age or gender, get sight of that tiller arm position as pictured I predict there will be some smiles and giggles, not to say guffaws! Perhaps it just looks worse when it is the focus of a picture, compared to when it is seen in real life, with other objects to distract the eye. I thought your picture of it in mid-varnish was 'notable', but told myself it was a temporary state, I didn't realise you meant to display it erect. I will understand, and not feel aggrieved if you moderate these comments out, just be prepared, that's all. Now you know why the handle required six coats of varnish!